These jackets are a great way to show off your organization! 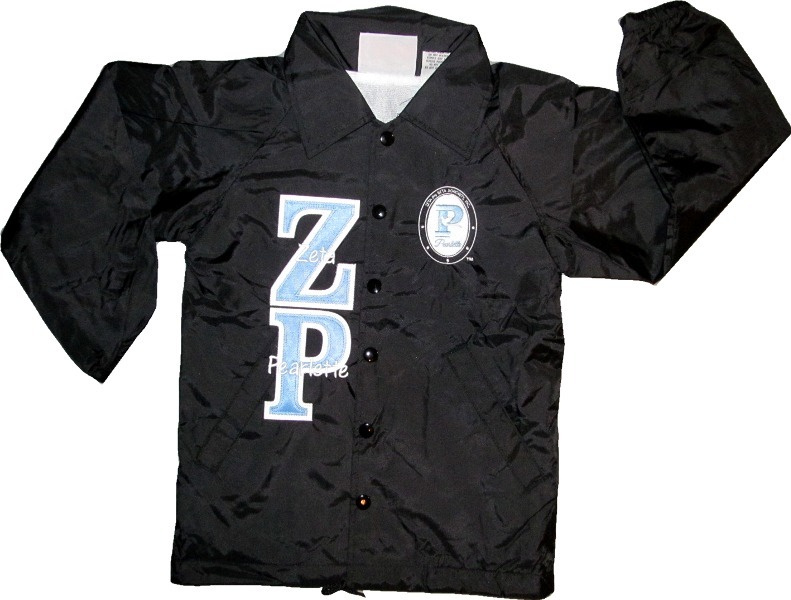 ZP for Zeta Pearlette, is stitched on this jacket - light blue letters with white backgrounds. And your logo, and if you want, a custom line of embroidery can be added underneath. Add her name or chapter to make this truly hers!